Still true to its aggressive all-mountain riding roots and half-shell-hucker mentality, the latest Santa Cruz Bicycles Bronson C S+ Complete Mountain Bike is right at home on the rooty, the rocky, and the technical. A reworked VPP® linkage makes 3.0 more efficient uphill while improving bottom out resistance and mid-stroke support. While they were at it, Santa Cruz also lengthened the reach and slackened the head tube, improving the Bronson's composure in gnarly terrain. 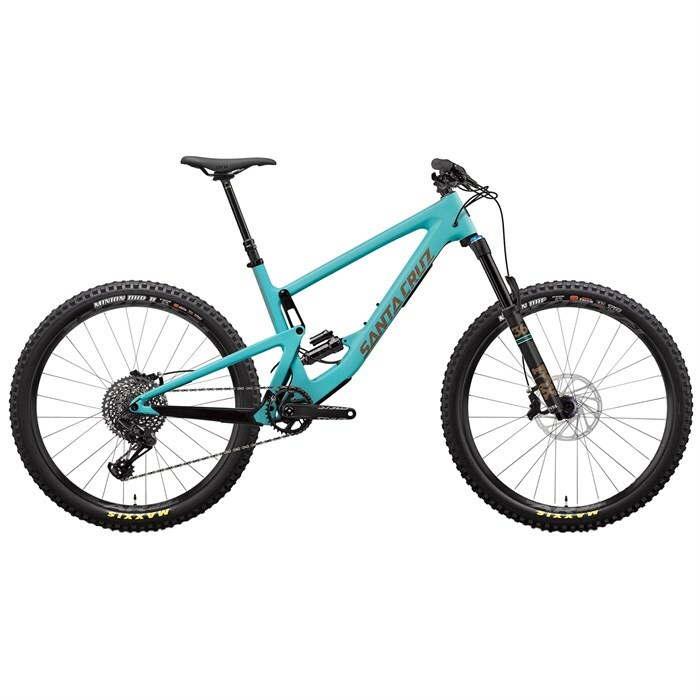 Perhaps the most versatile bike in the Santa Cruz offering, the Santa Cruz Bicycles Bronson C S Complete Mountain Bike is their answer to the versatility and capability demanded by today's all-mountain riders. A carbon C frame? 27.5+ tires? And a modern 1x12 drivetrain? What more can we say? Unleash your inner lion on the Bronson C S+. RockShox Super Deluxe R Shock  The directive was simple. Engineer a shock that does for rear-suspension performance what Pike did for forks. Simple? Don’t bet on it. A gamble? Absolutely. It required a complete change in the way SRAM approaches shock design. It meant focusing on performance first and leaving old constraints behind. And it gave them a clear path to develop the world’s lowest-friction shock — Super Deluxe. Metric sizing gives Super Deluxe significantly increased bushing overlap, which, together with a sophisticated new bushing profile, virtually eliminates friction in the shock. A new damper holds the shock high in its stroke and offers unparalleled traction. Unshackled from the old obstacles of shock design, Super Deluxe is free to tackle new ones — on the trail. This changes everything. Front Tire: Maxxis Minion DHF 3C Terra EXO TR | 27.5 x 2.6"
Rear Tire: Maxxis Minion DHR II 3C EXO TR | 27.5 x 2.6"